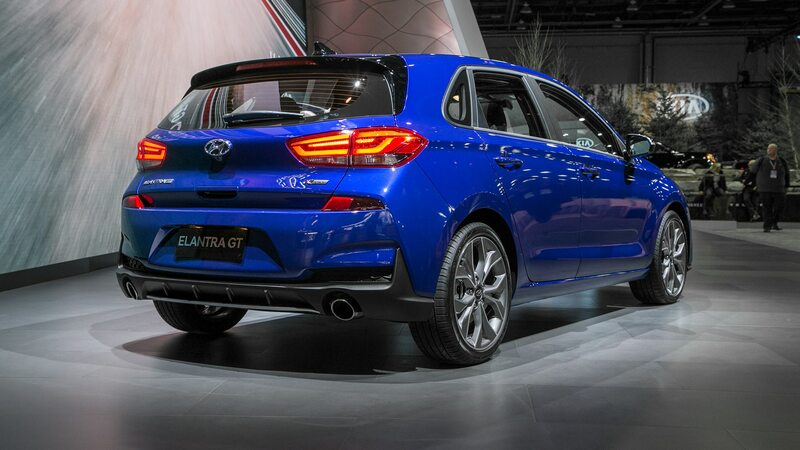 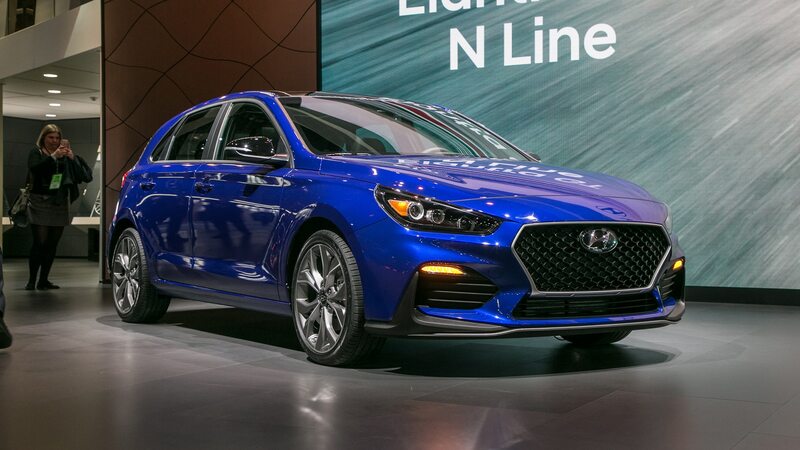 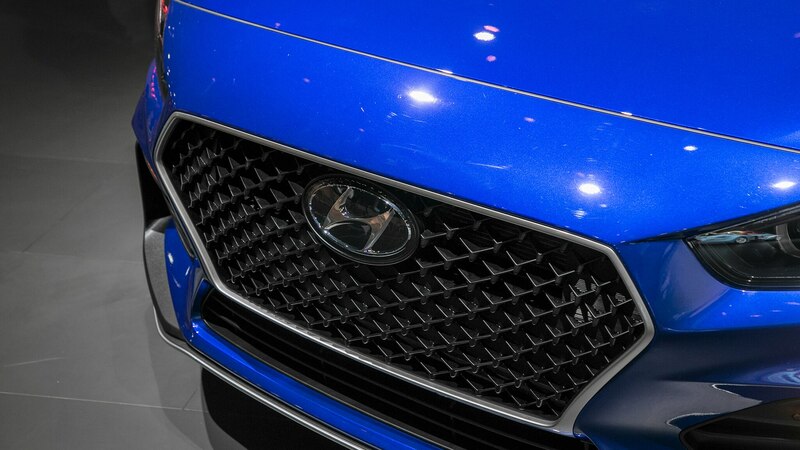 / News / The Elantra GT Sport Is Dead; Long Live the Hyundai Elantra GT N Line! 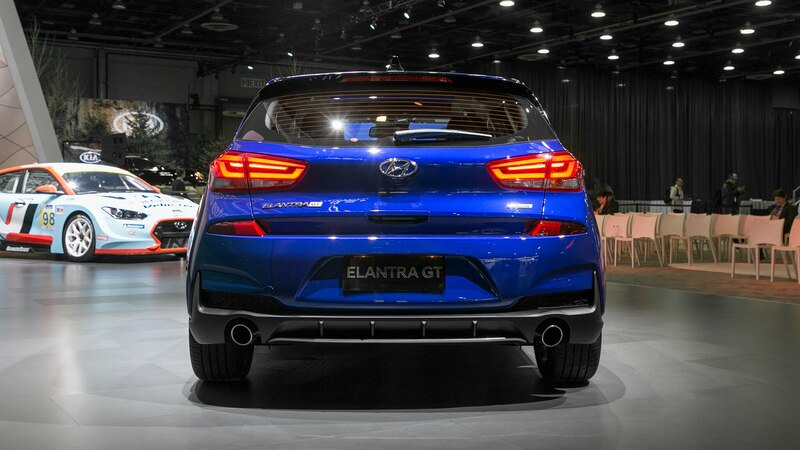 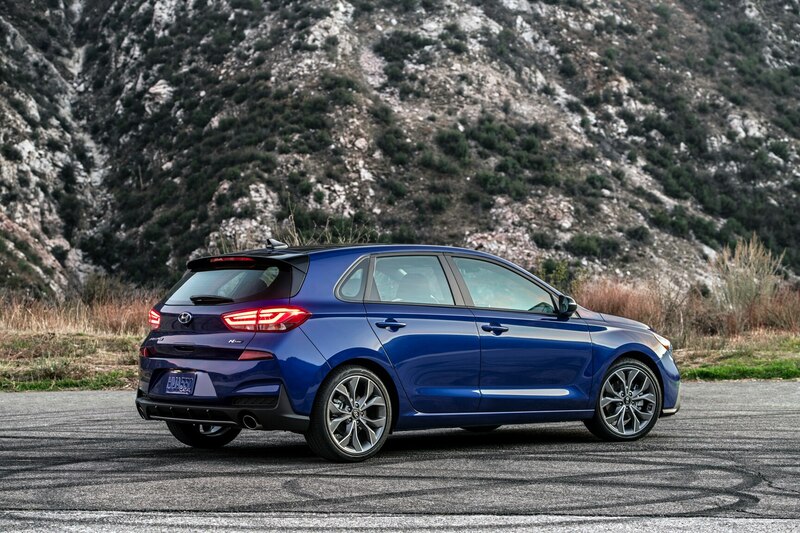 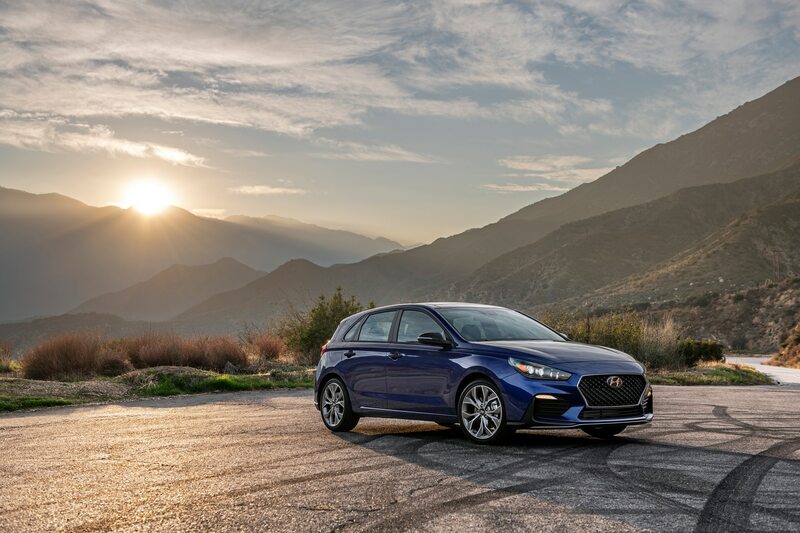 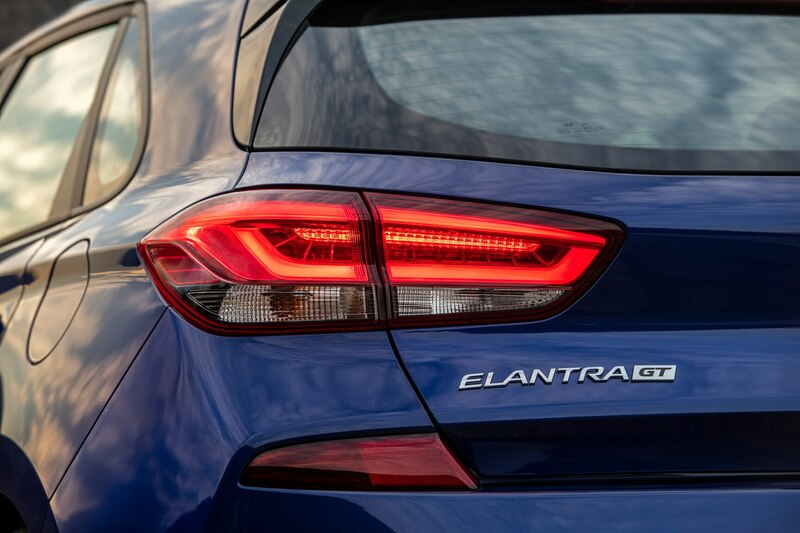 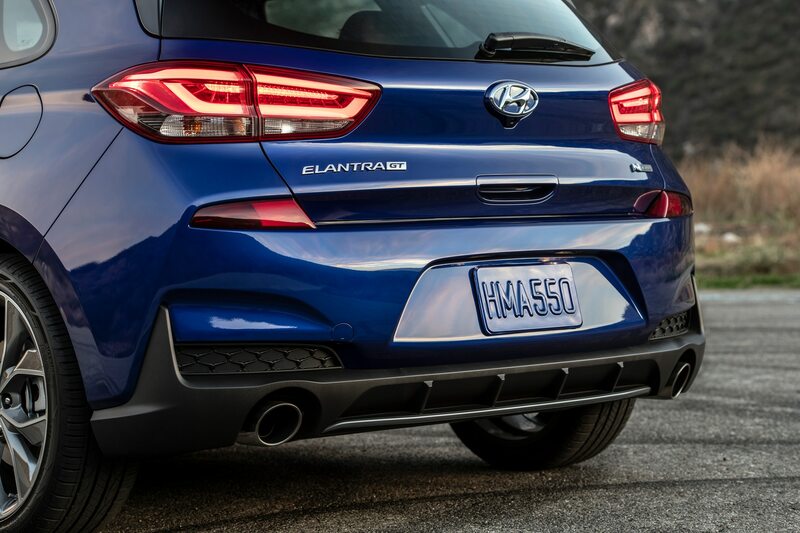 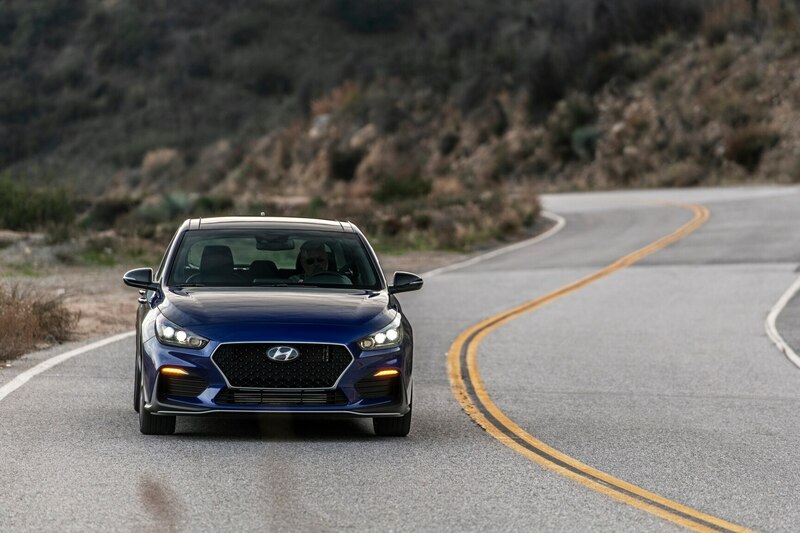 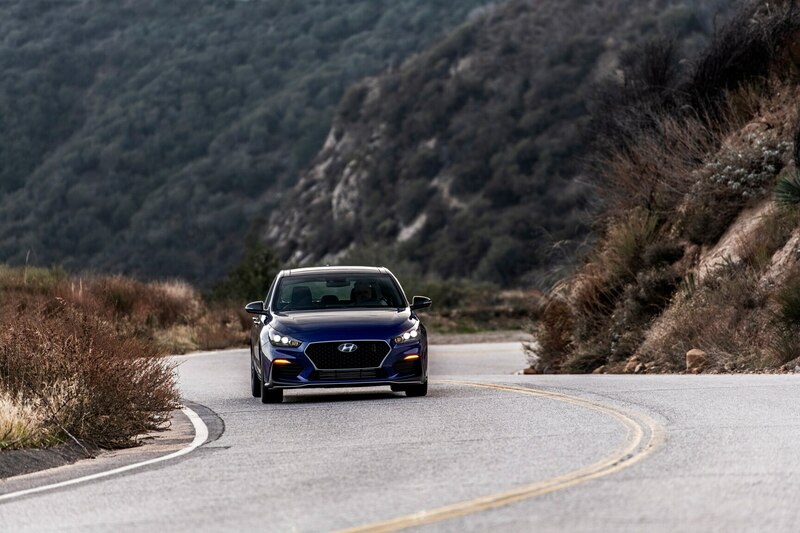 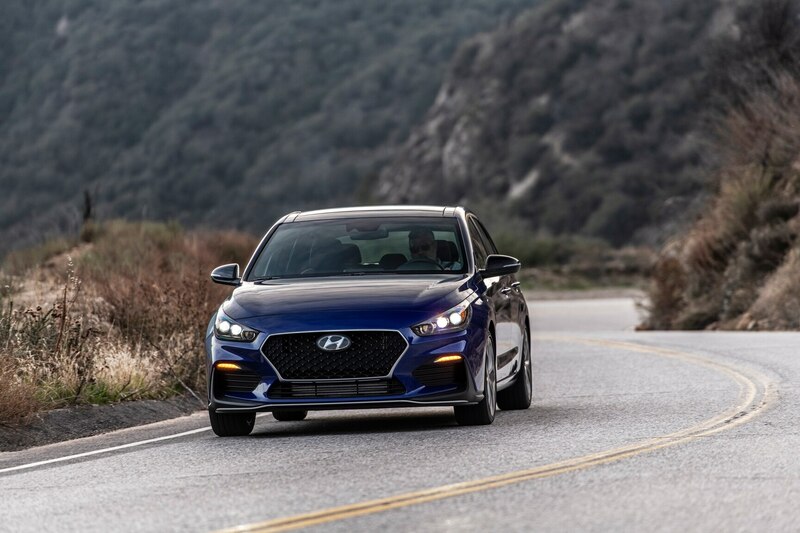 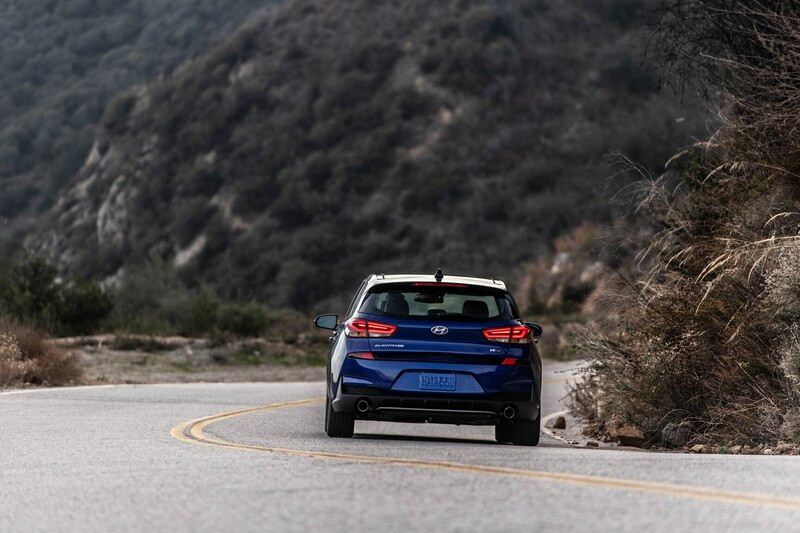 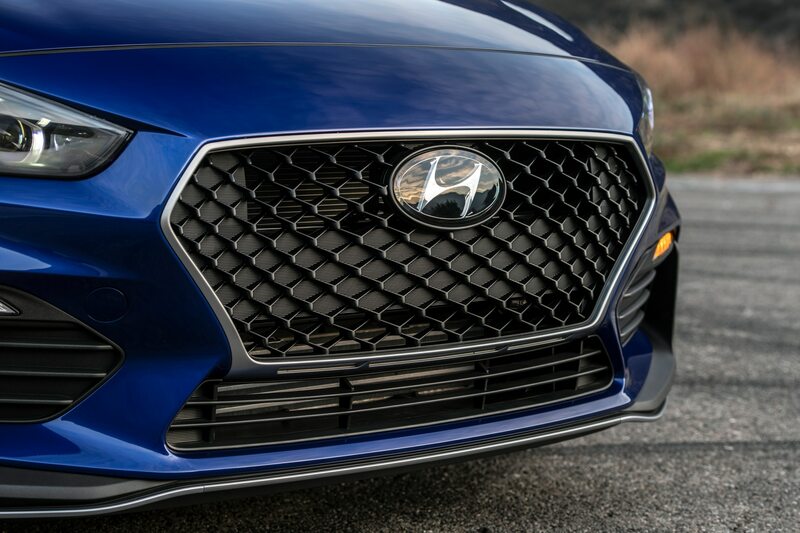 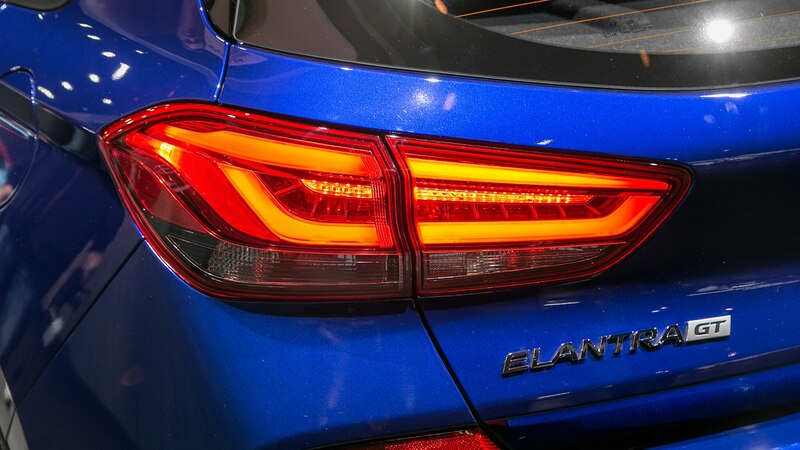 There’s no more GT Sport trim for the Hyundai Elantra; for 2019, it morphs into the new 2019 Elantra GT N Line, the better to represent Hyundai’s new performance brand named for the 14th letter of the alphabet. 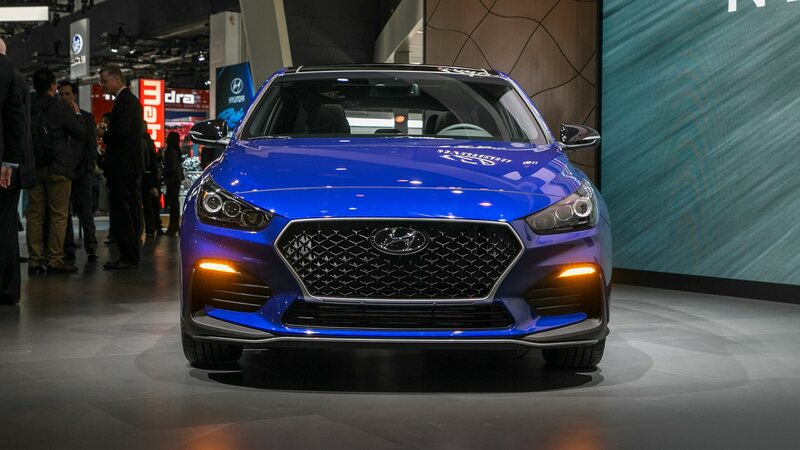 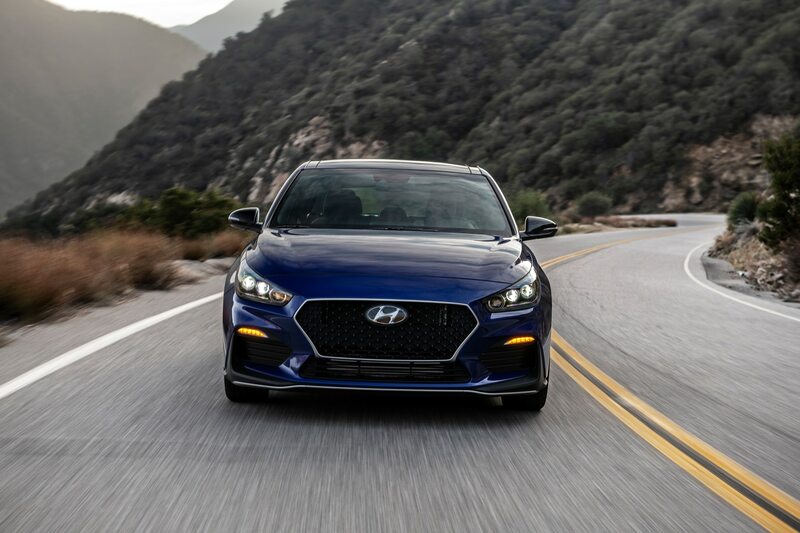 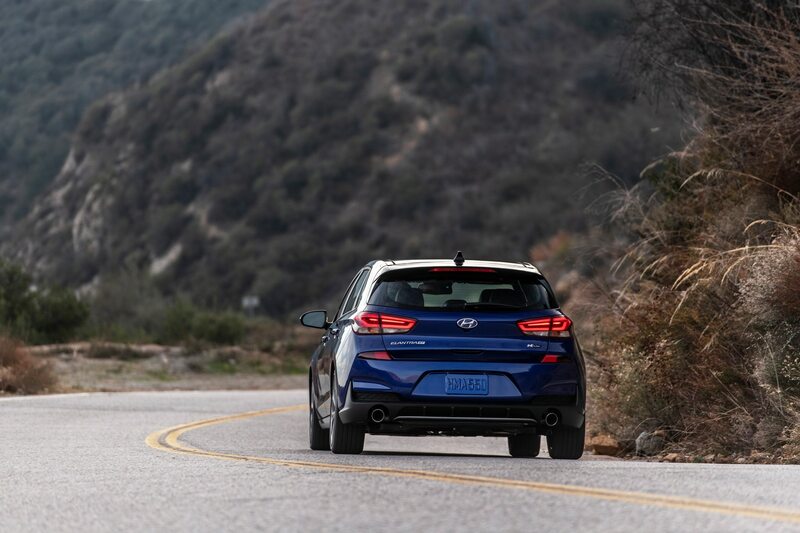 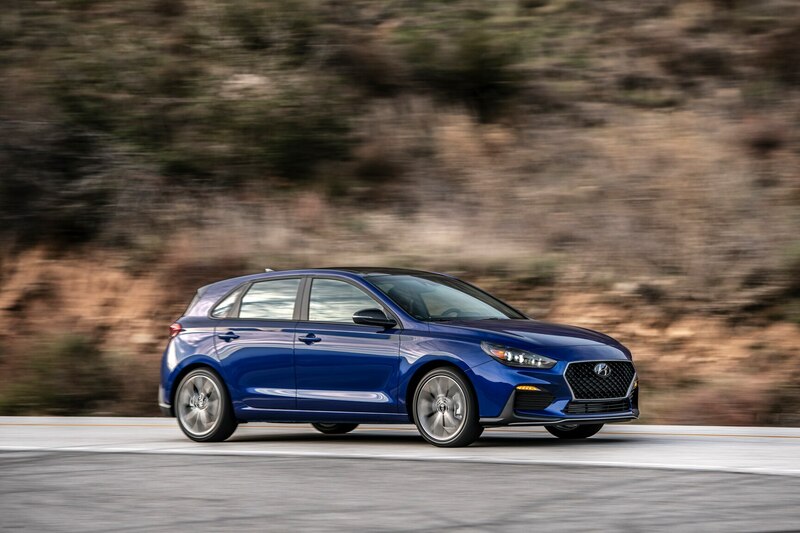 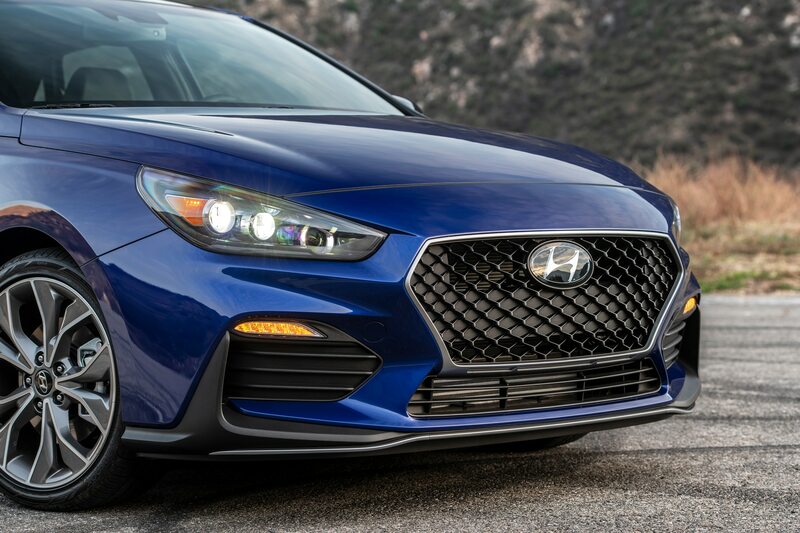 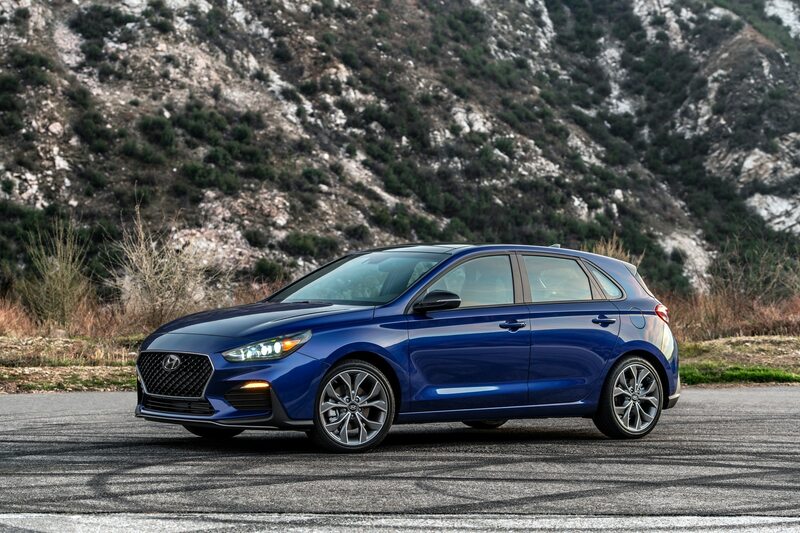 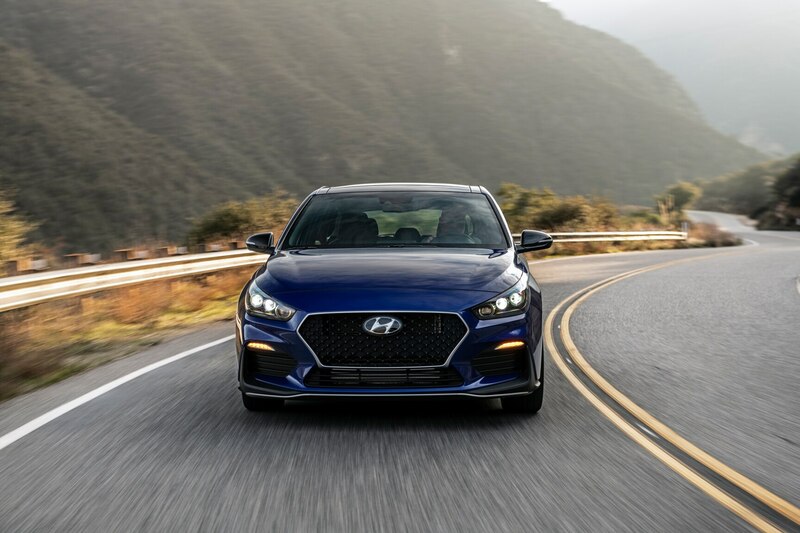 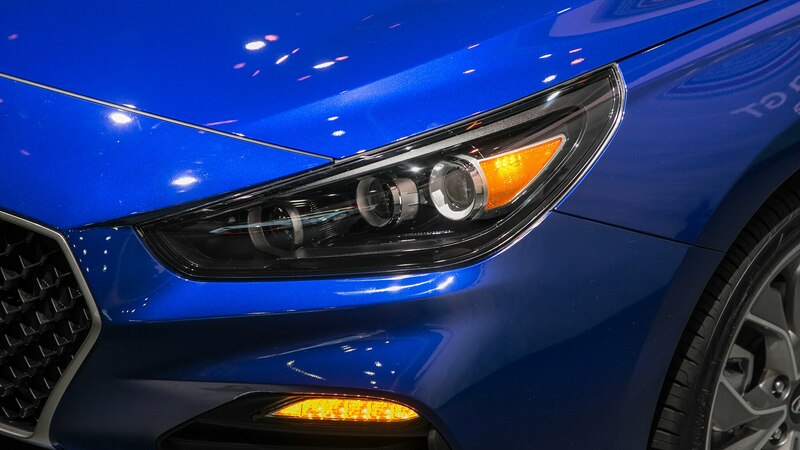 It’s the first less than full-blown N to hit the scene, following the Veloster N and the not-for-the-U.S. i30 N.
The new package starts at $24,185 for a six-speed manual and $25,285 for the seven-speed automatic version. 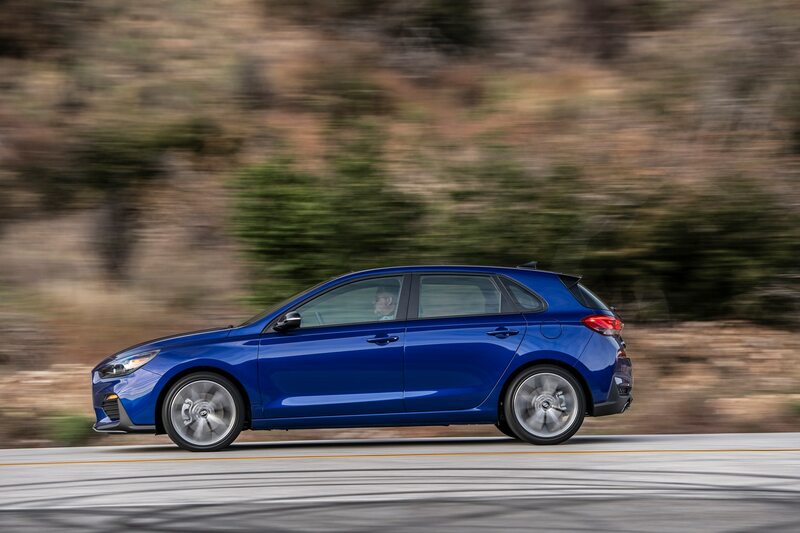 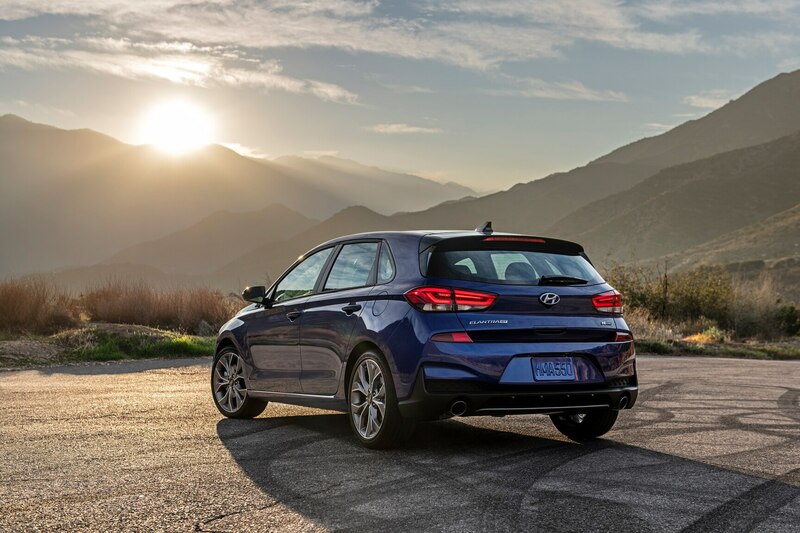 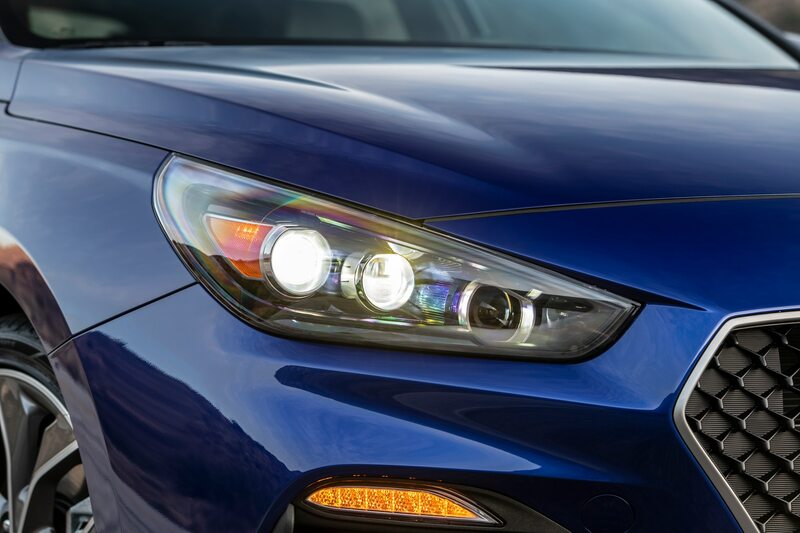 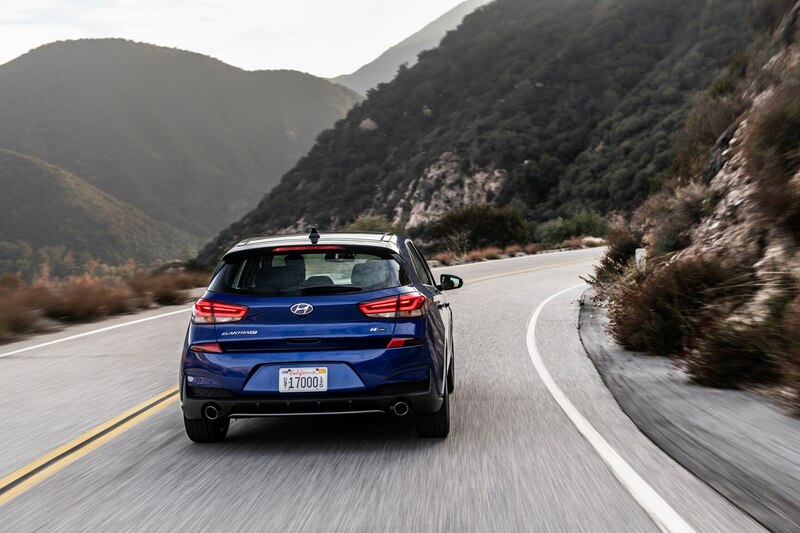 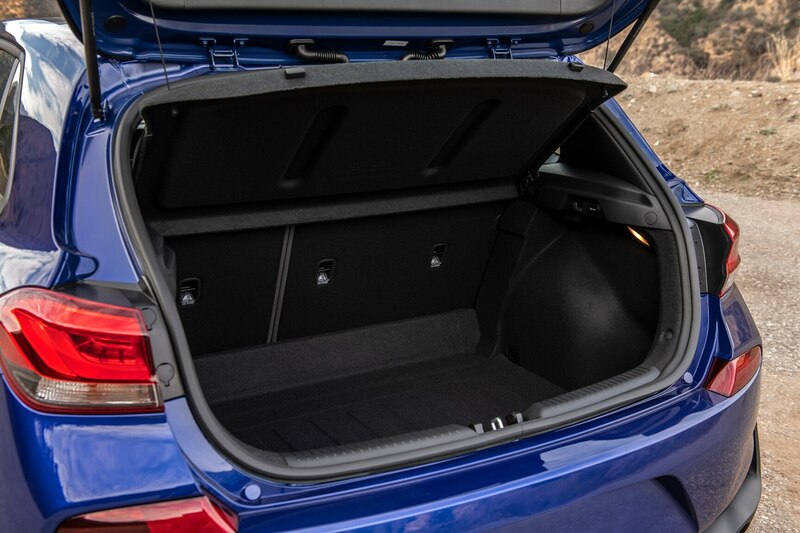 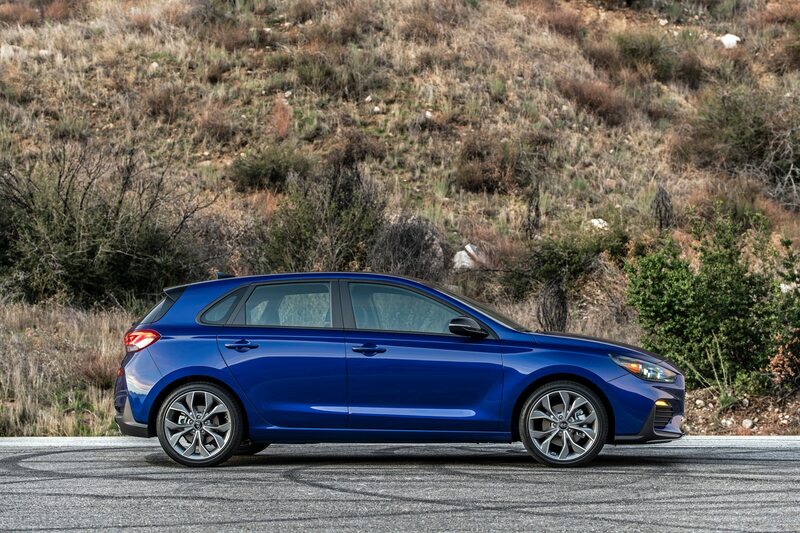 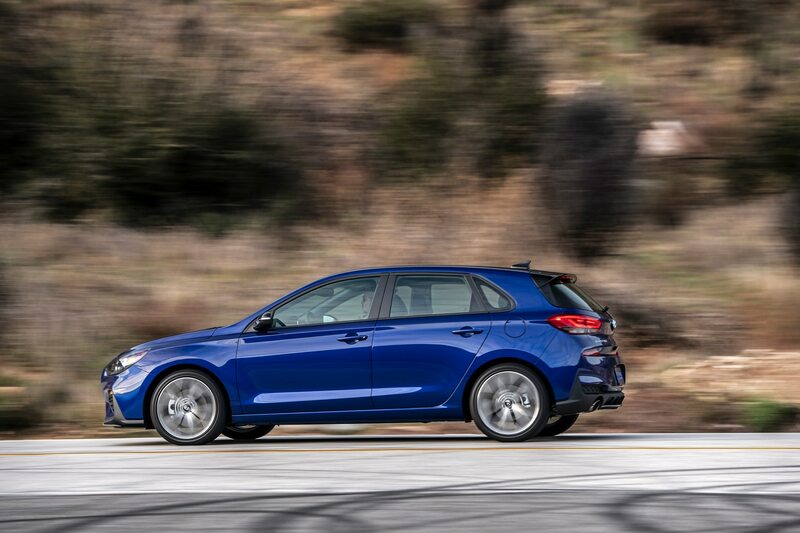 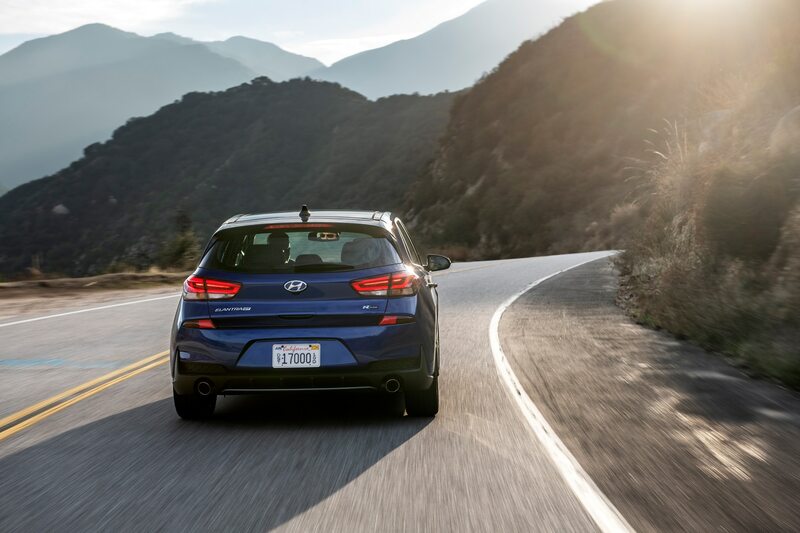 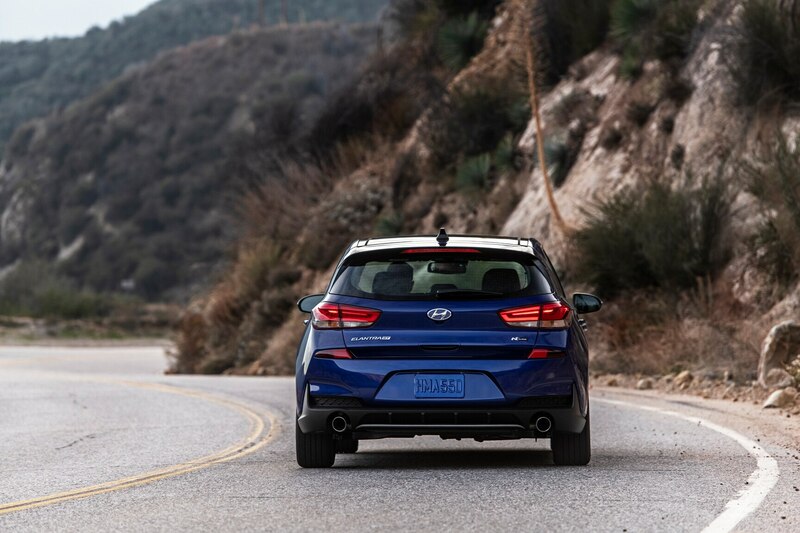 The entry-level Elantra GT carries over essentially unchanged into this year and starts at $21,335. 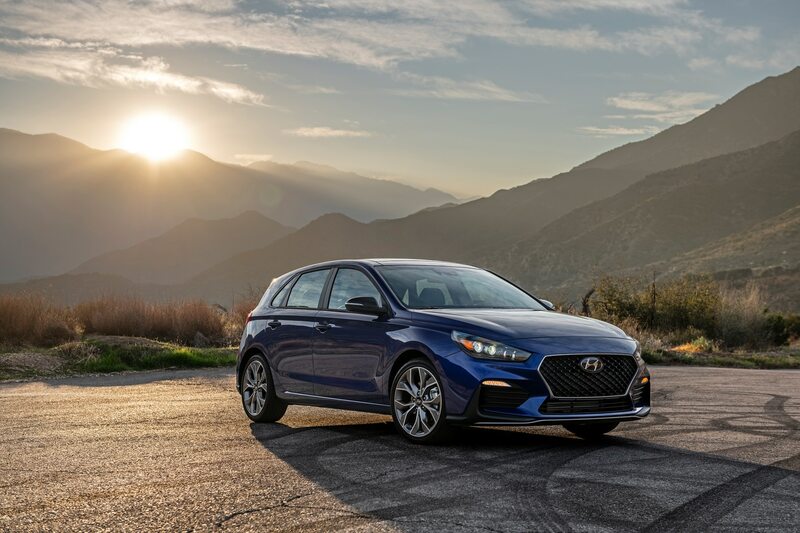 As did the Sport, the N Line packs a turbocharged 1.6-liter four-cylinder engine rated at 201 horsepower and 195 lb-ft of torque. 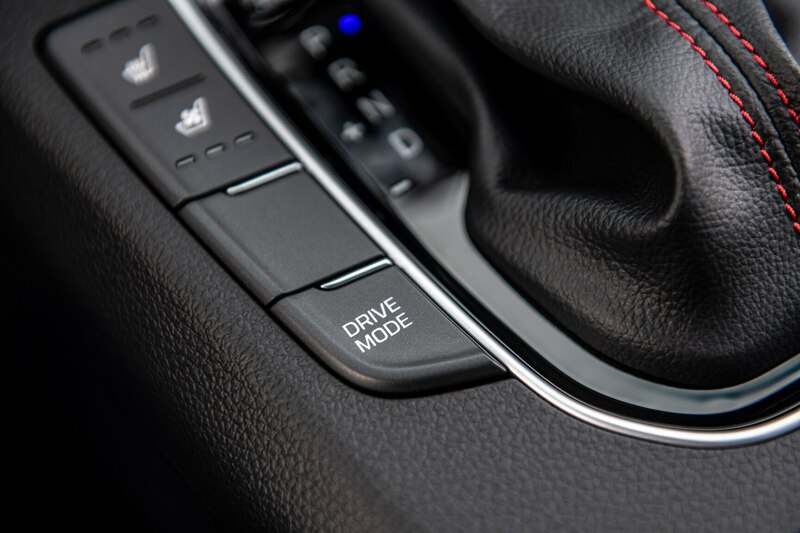 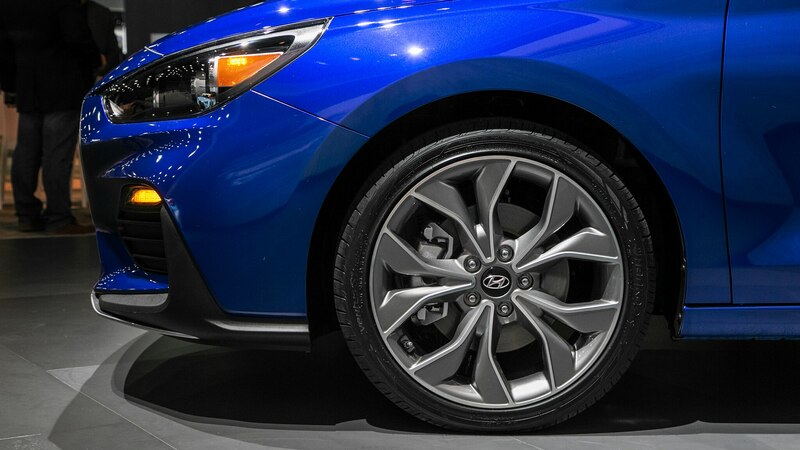 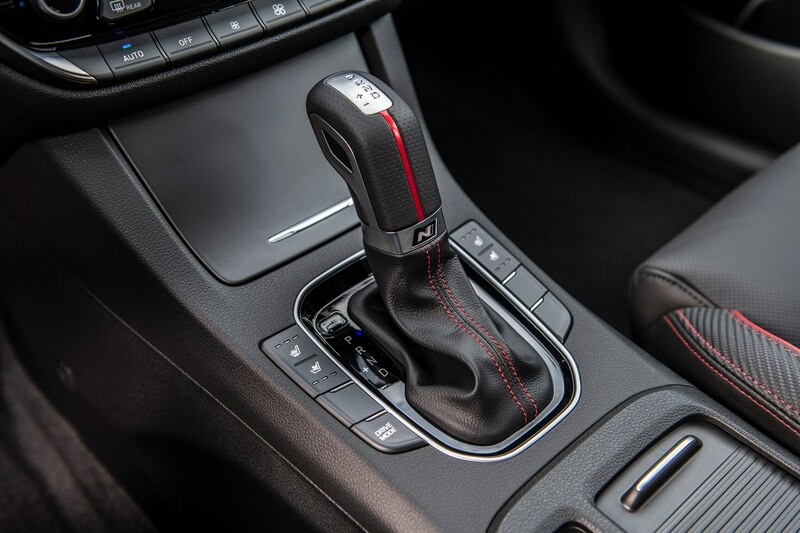 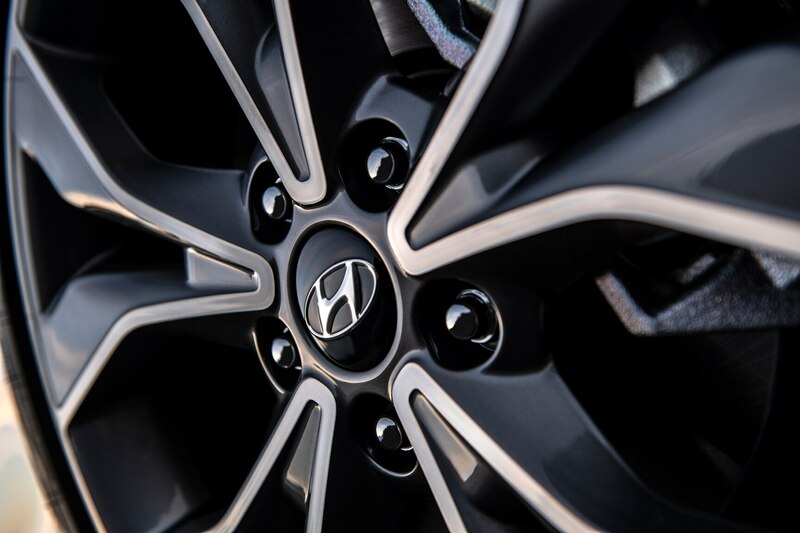 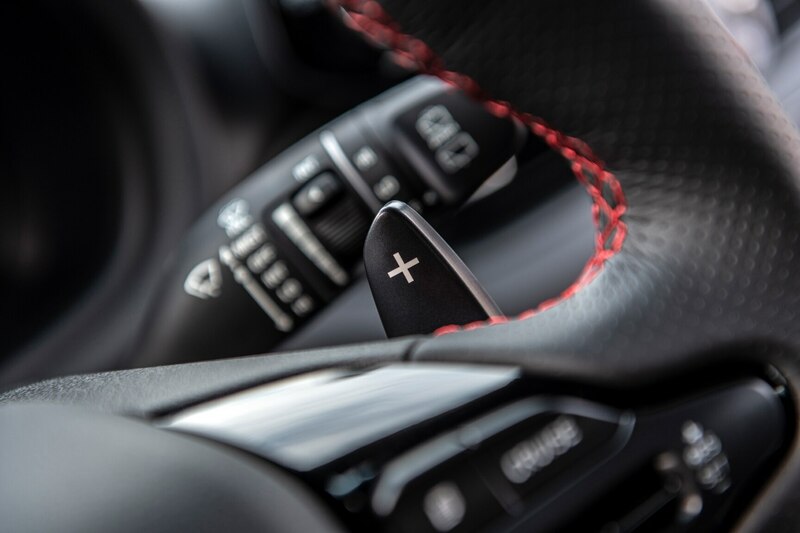 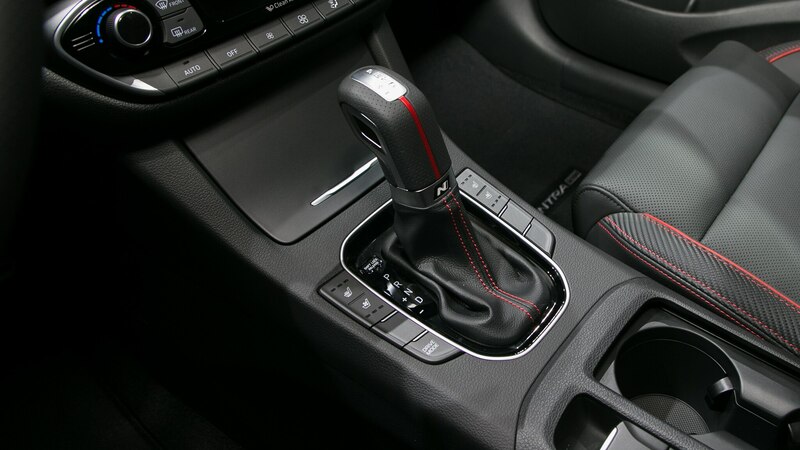 The four is mated to a six-speed manual transmission or an optional seven-speed dual-clutch automatic. 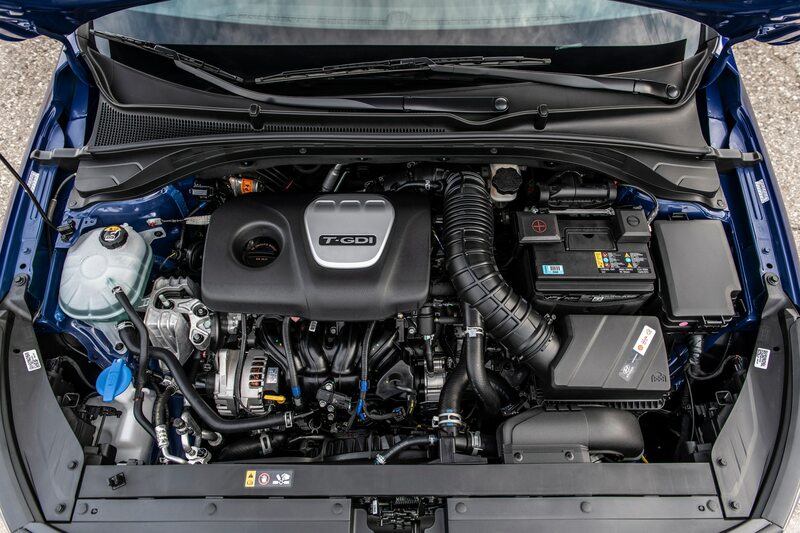 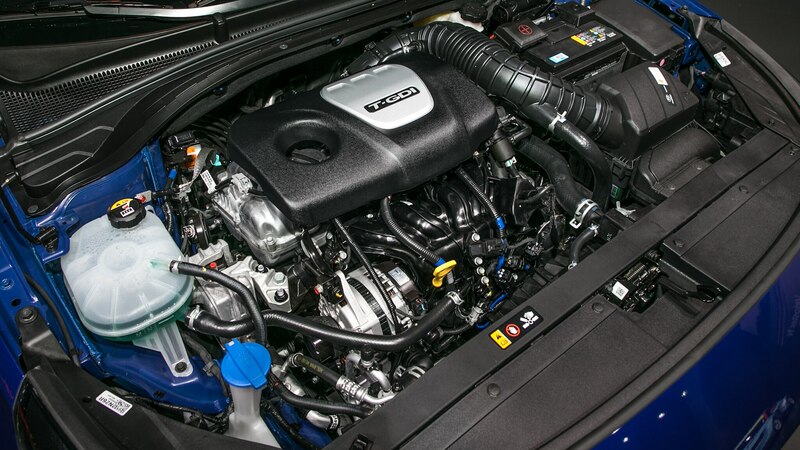 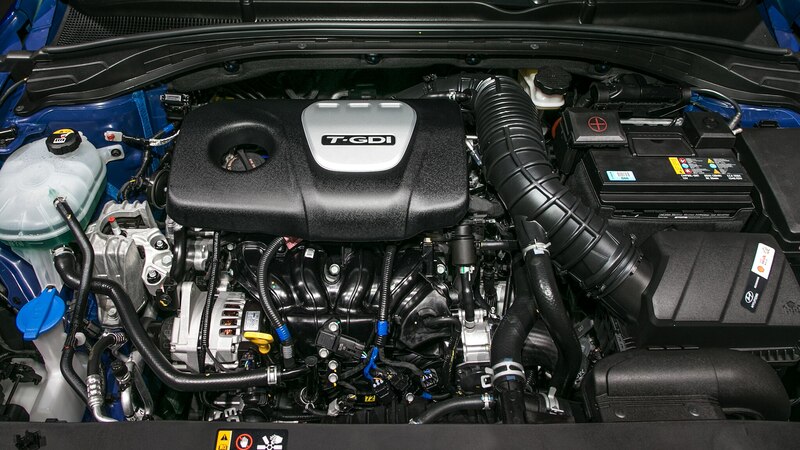 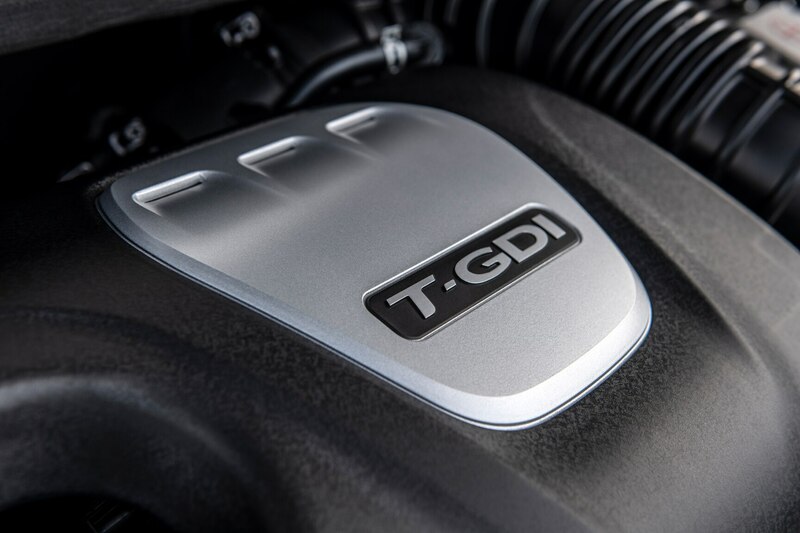 The regular GT keeps its 162-hp 2.0-liter four-cylinder and standard six-speed torque-converter automatic. 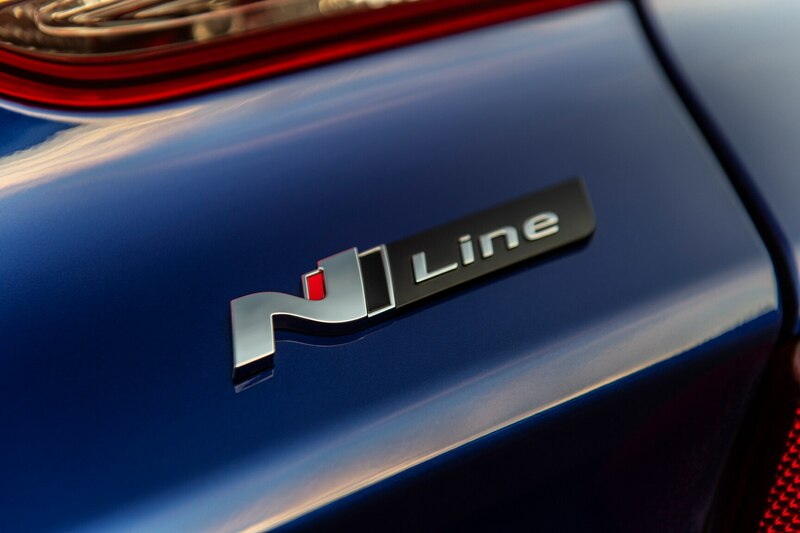 N Line visual differences include a lower front spoiler, black grille with a silver accent, blacked-out side mirrors, and special badging. 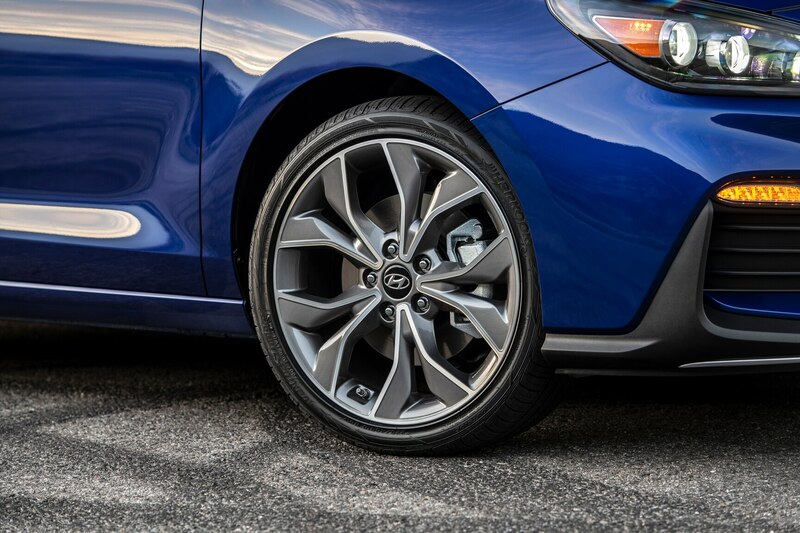 It also has larger front and rear brake rotors and, if you opt for the manual, rolls on 18-inch wheels shod with Michelin Pilot Sport 4 225/40 summer tires. 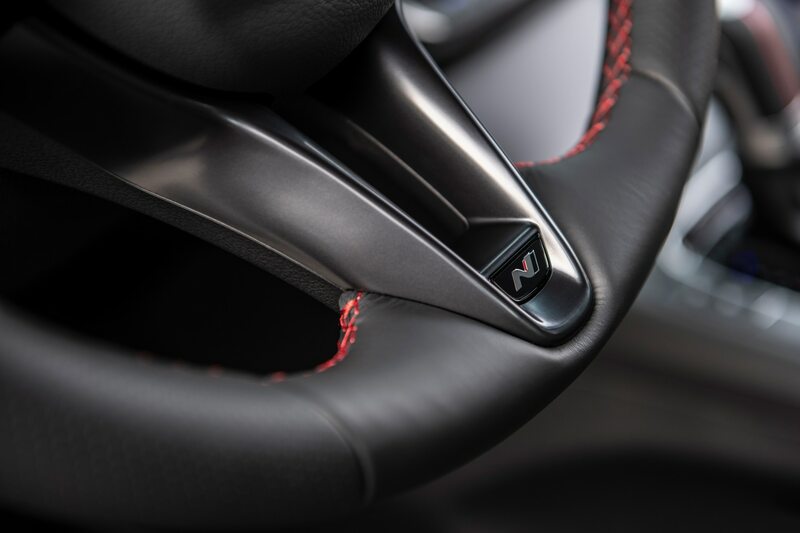 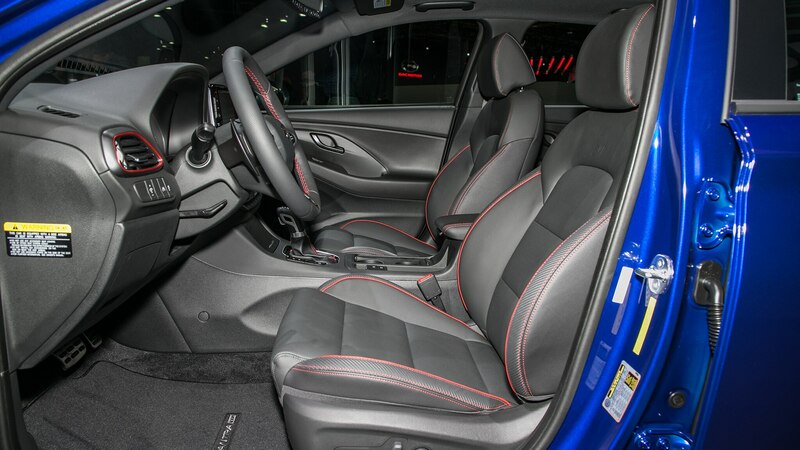 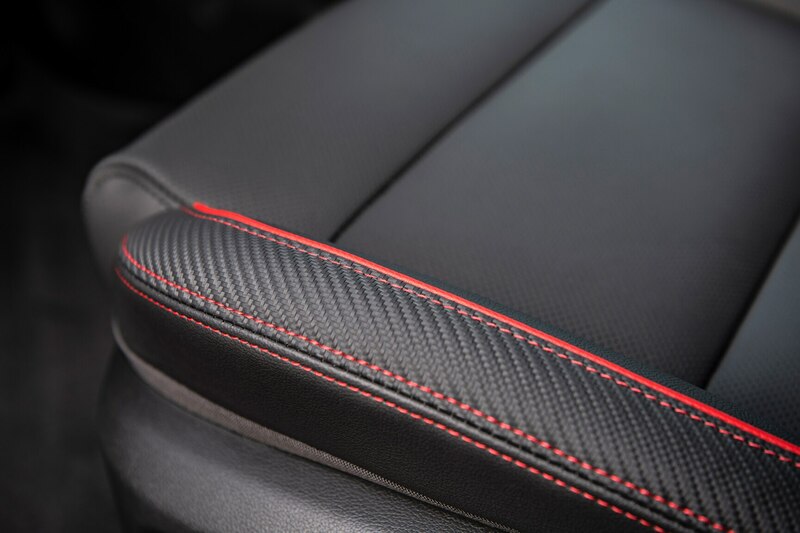 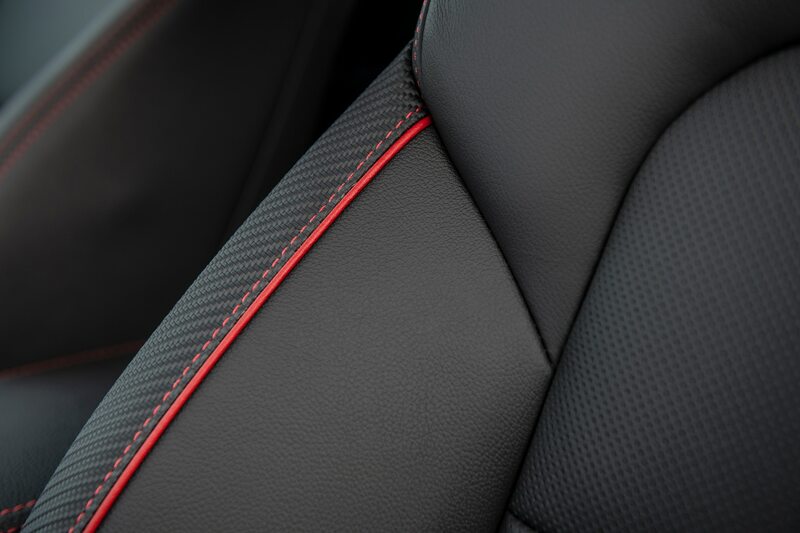 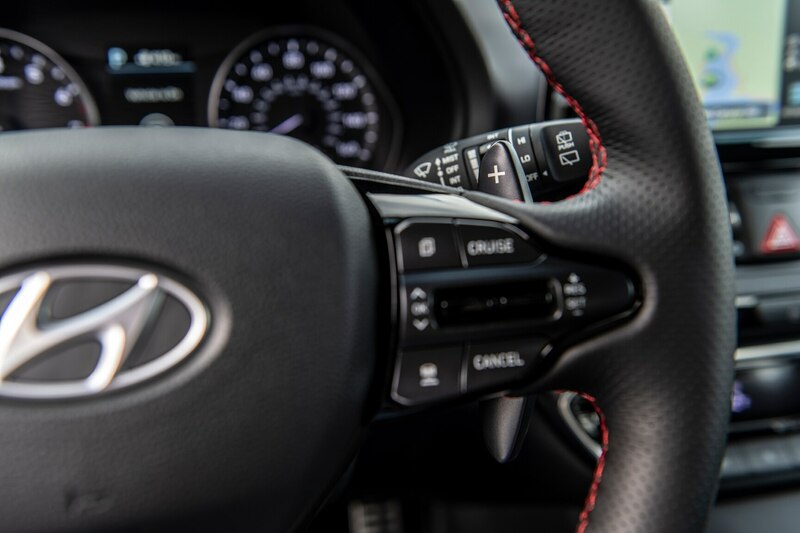 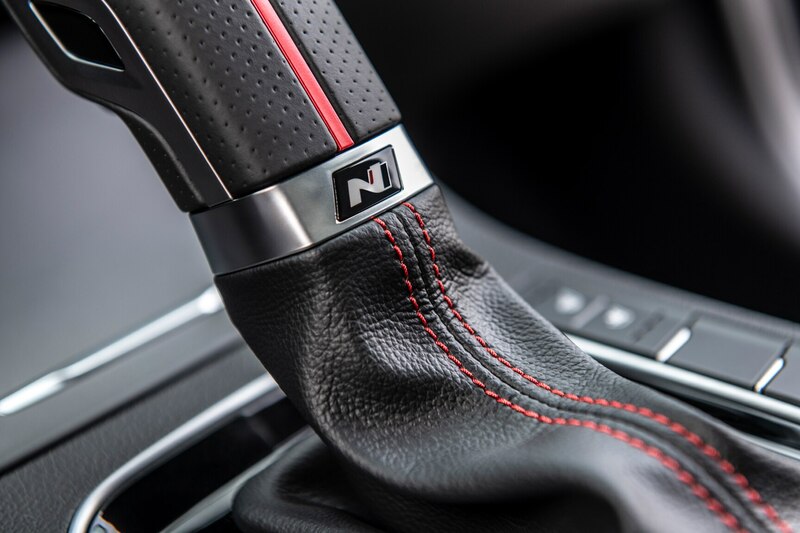 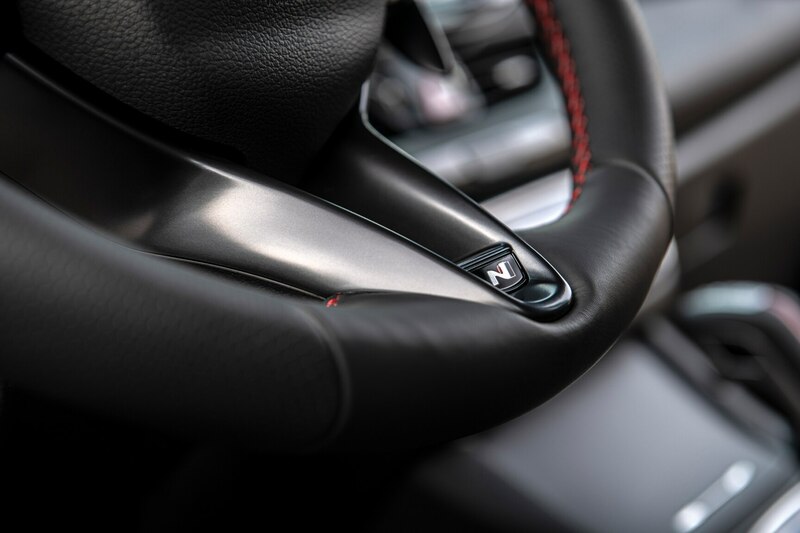 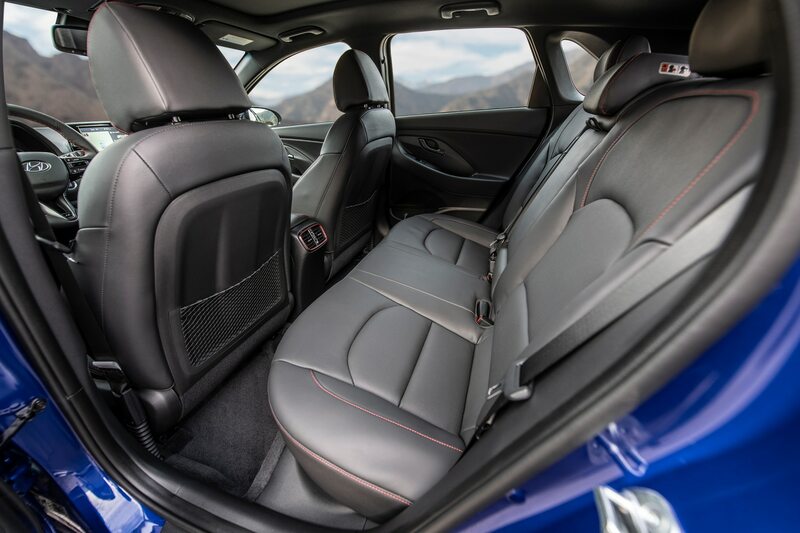 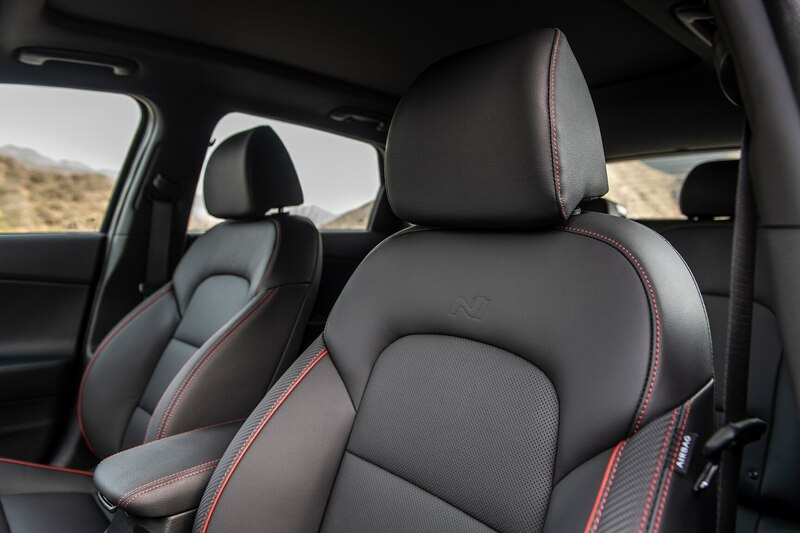 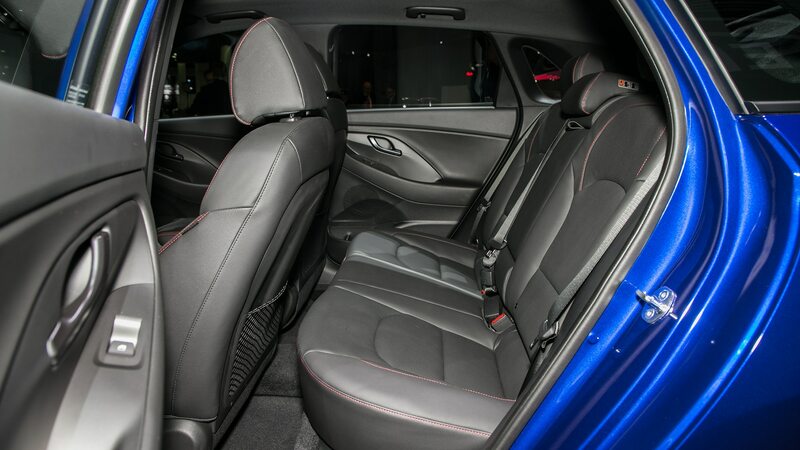 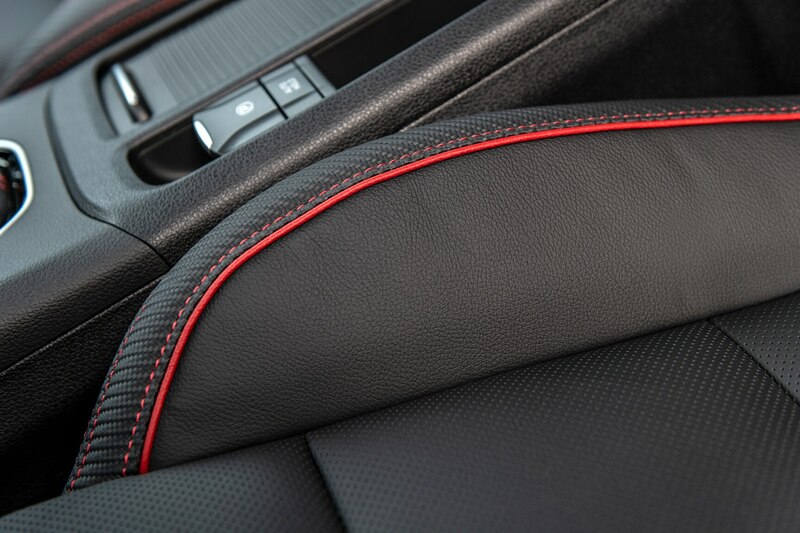 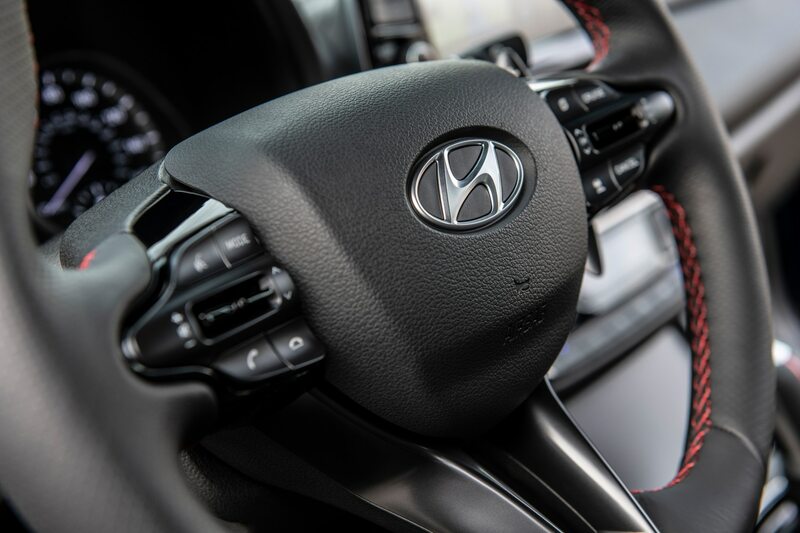 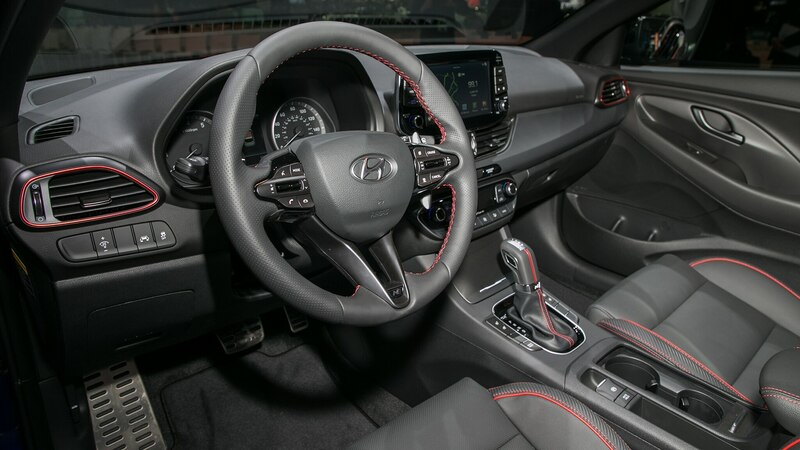 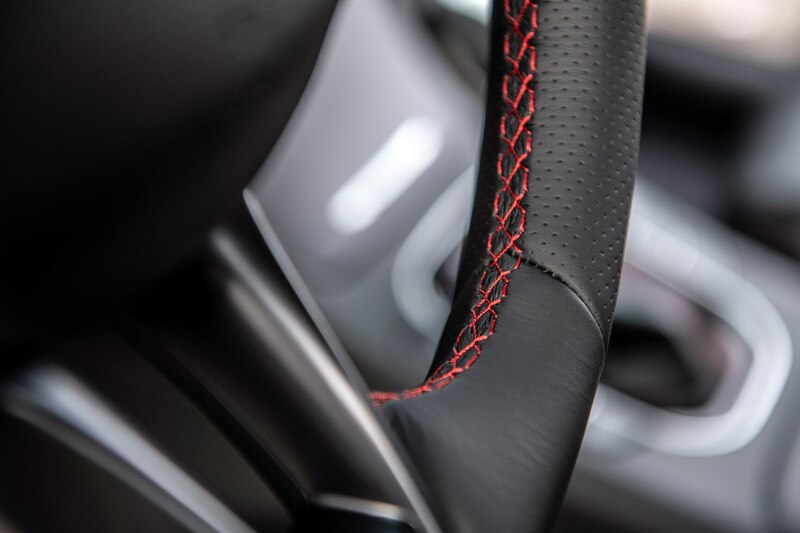 The cabin gets a leather-wrapped N steering wheel with metallic spokes, leather sport seats, a leather- and metal-trimmed gearshift, and plenty of red stitching. 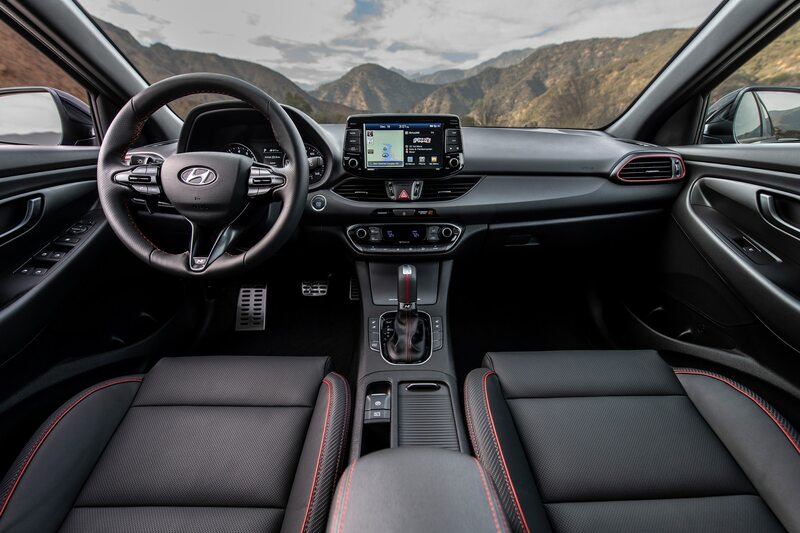 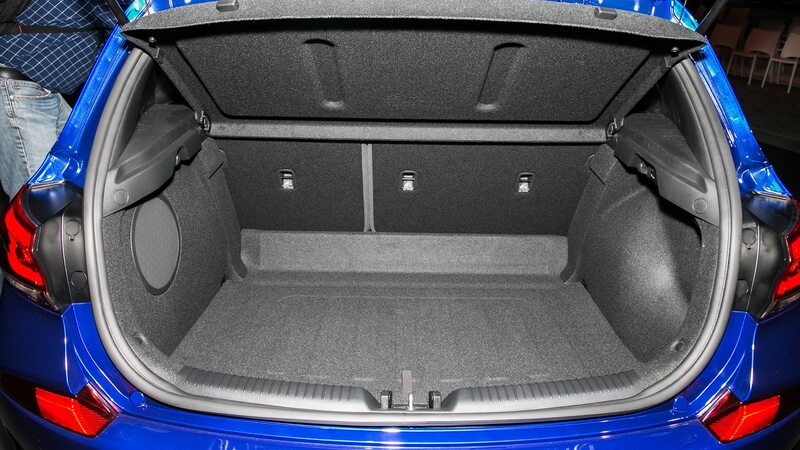 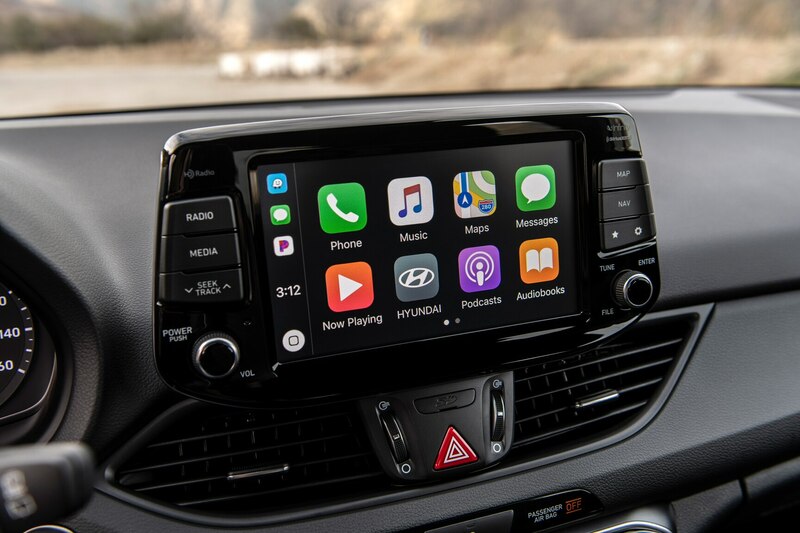 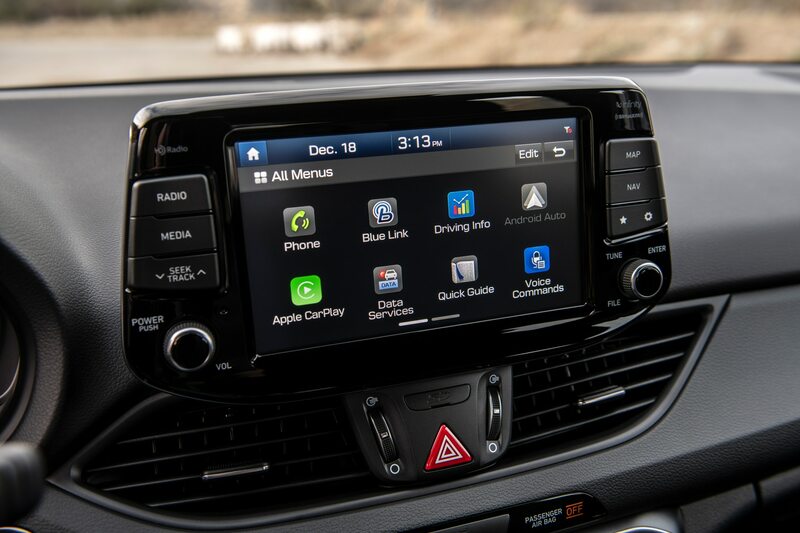 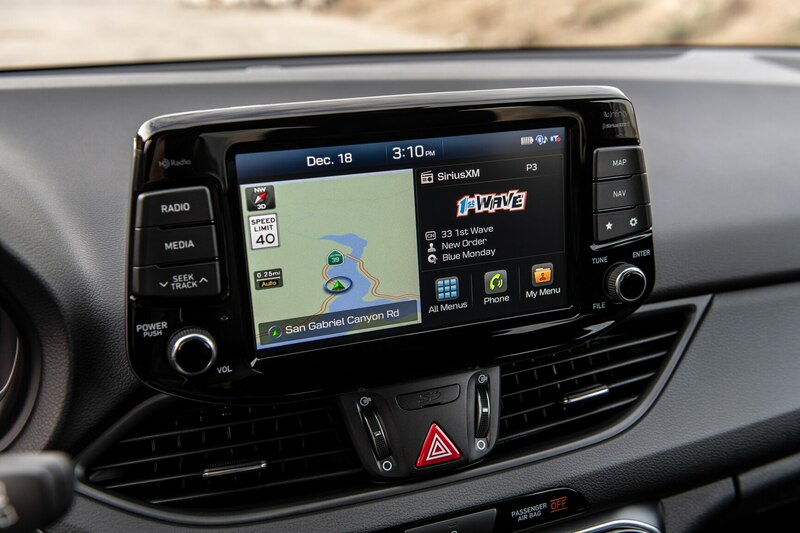 An available technology package adds a panoramic sunroof, 8.0-inch infotainment system with navigation, Blue Link telematics, ventilated seats, a power driver’s seat with lumbar support, Infinity audio with seven speakers, a wireless charging pad, smart cruise control that can work to and from a standstill, forward collision-avoidance assist, and more. 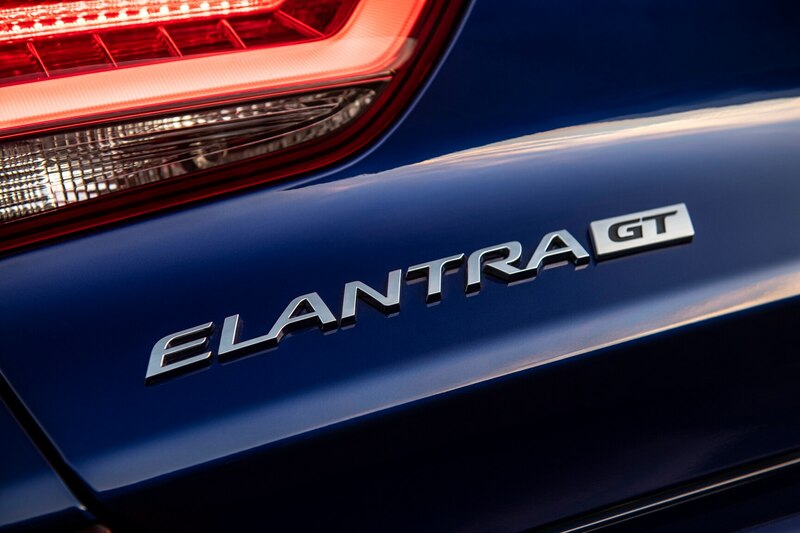 Elantra GT N Line and the Elantra GT are on sale now. 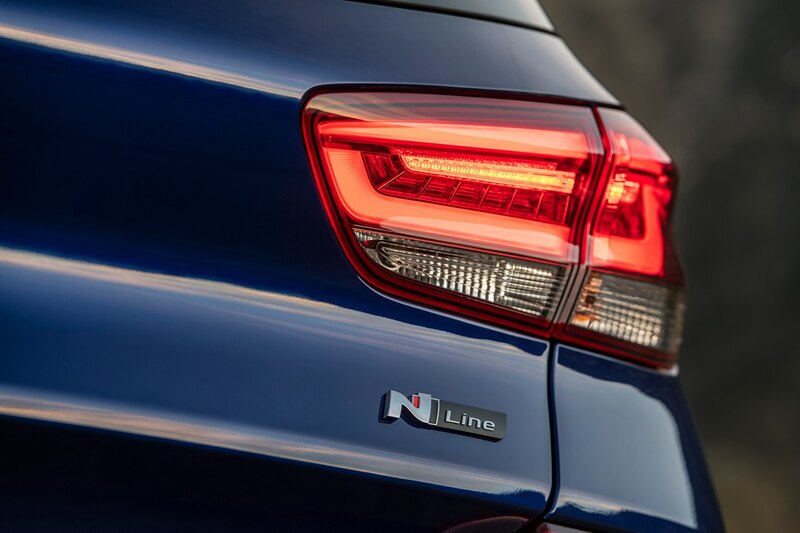 And, yes, you can expect to see more N Line models in the future.